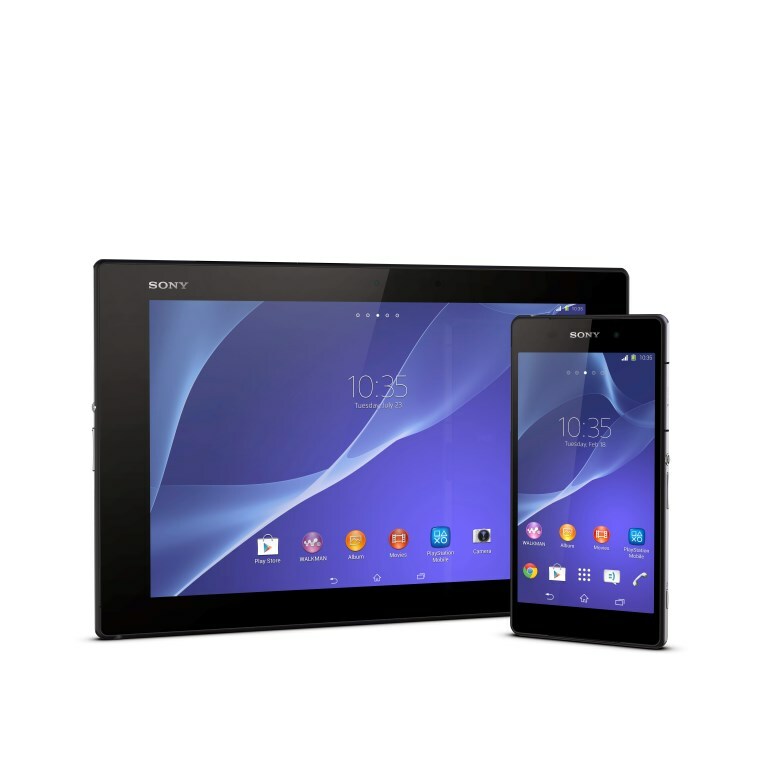 Well guys, after a real long wait and finally Sony decides to go ahead and officially make the Sony Xperia Z2 and the Sony Xperia Z2 Tablet purchasable in any Sony Xperia Store and all the authorized outlets with the price tag of RM2399 for the Sony Xperia Z2 smartphone, while for the Sony Xperia Z2 Tablet, the LTE version is priced at RM2299 while the WiFi only variant is priced at RM1999. We all know that Sony tends to introduce spectacular gadgets all over, and never give chance for their customer to complain, because if there is negative feedback from their customers, Sony tends to improve that particular weakness within a very short period of time. The Sony Xperia Z2 is a mind blowing smartphone nicely crafted by Sony with extremely high specifications and quality. It features a 5.2″ Full HD(1920×1080) TRILUMINOS Display with X-Reality for much realistic viewing. The Sony Xperia Z2 is powered by Qualcomm’s Snapdragon 801(8974AB) quad core processor clocked at 2.3GHz and Adreno 330 GPU for optimal performance and smooth graphics. Under the hood, the Sony Xperia Z2 has a whooping 3GB of RAM and 16GB of ROM with the option of microSD support up to 128GB. It has LTE for a speedy web browsing together with NFC, Bluetooth v4.0 and GPS with GLONASS as well. When it comes to the camera, the Sony Xperia Z2 has 20.7MP main camera with the capability of capturing 4K videos and playback while the front shooter is set at 2.2MP for a decent quality selfie and with the presence of physical camera shutter key, taking photos is a piece of cake. Not to forget the battery capacity which is set at 3200mAh, you could expect a decent battery life and will be able to sustain more than a day of moderate usage. The design wise, The Sony Xperia Z2 is identical to the elder brother Sony Xperia Z1 expect for a little bit of changes in dimensions due to upgraded screen size from 5″ to 5.2″. With front and back made with glass, surrounded with aluminum bezels, it would definitely be one of the most eye-candy smartphones ever made with the weight of only 163g. Ah, and don’t forget about the ability of waterpoof and dust resistant with the certification of IP58. Yes, you can shower and swim with this beauty literally. Lastly, it is powered by the latest Android 4.4.2 KitKat by Google with the latest Timescape UI from Sony, so there is no room for complaints with everything up to date the moment you unbox the Sony Xperia Z2. Moving on to the tablet variants, the Sony Xperia Z2 Tablet features a 10.1″ Full HD TRILUMINOS display with the resolution of 1200×1920 and with X-Reality mobile engine too. It is powered by the same processor as the Sony Xperia Z2 smartphone, the Snapdragon 801 quad core processor clocked at 2.3GHz with the RAM set at 3GB and ROM of 16GB with memory expansion support via microSD up to 64GB. The Xperia Z2 Tablet a 8.1MP main camera with 16x digital zoom and a 2.2MP front shooter. Yes, it has all the goodies that the Sony Xperia Z2 smartphone offers, such as NFC, Bluetooth v4.0, and GPS with GLONASS. The tablet is also designed with aluminium frame and glass at the front and back giving a expensive looking impression. The Sony Xperia Z2 Tablet comes with a battery capacity of 6000mAh decent enough to go for a whole day of heavy usage. Lastly the tablet only weighs at 439g and the same certification of IP58 is given despite able to handle a decent amount of dust and performing well under the water. The only difference with the WiFi only and LTE variant is there won’t be any sim card slot on the WiFi only version, seriously nothing else. The Sony Xperia Z2 smartphone and Sony Xperia Z2 Tablet with LTE both uses micro sim and not the latest nano sim which can be handy for some people who dislikes their sim to be too small in size. Honestly, I am flattered with the Sony Xperia Z2 smartphone and definitely would be getting my hands on the smartphone as soon as possible. What about you? The smartphone or the tablet? Which one attracts you more? Would you pay such amount for these gadgets? I am definitely willing to pay for it.